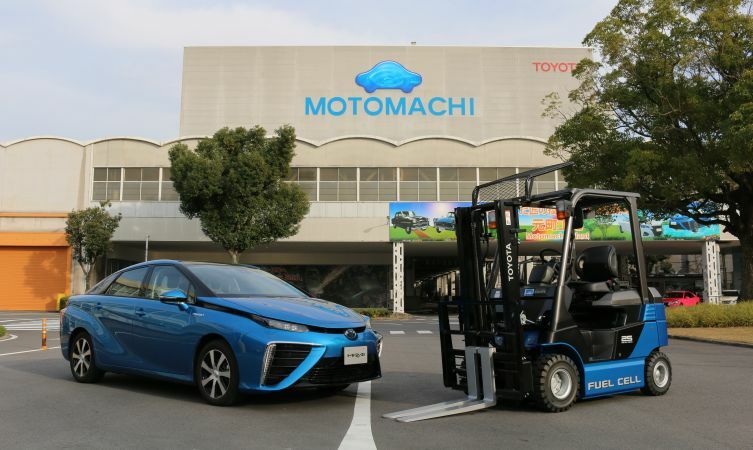 Toyota now has a fleet of 22 fuel cell forklifts at its Motomachi Plant in Toyota City, Japan, production centre of the advanced Toyota Mirai fuel cell vehicle. Like the Toyota Mirai, each Toyota fuel cell forklift creates zero emissions as it transforms hydrogen into electricity for operation. It’s as convenient as a traditional forklift in that it can be refuelled in approximately three minutes, but in addition can be a source of electricity during power cuts or other emergency situations. 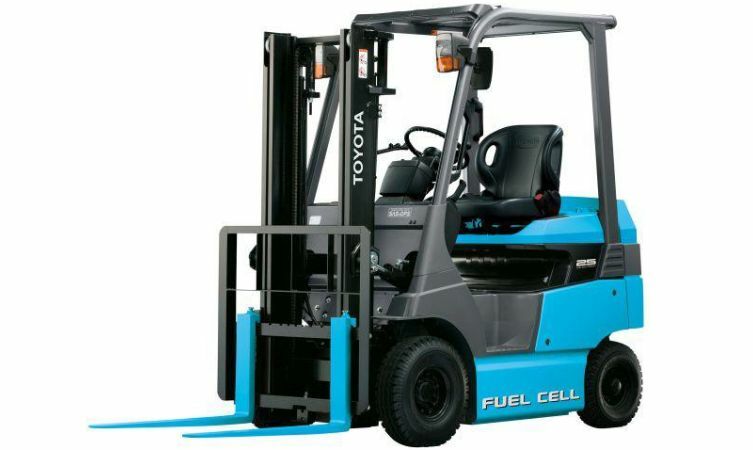 Toyota intends to increase the use of fuel cell forklifts in its production facilities. The roll-out at Motomachi began on 31 January 2017, with the introduction of two forklifts offering a load rating of 2.5 tons. This was followed by an additional 20 units in March 2018, bringing the current number of fuel cell forklifts to 22. Another 50 forklifts will be added to the fleet this year. But eventually, the goal is to reach between 170 and 180 units and to deploy fuel cell forklifts at other Toyota plants. How are the hydrogen forklifts refuelled? A hydrogen station has been running at Motomachi since March 2018 to cater for the 22 forklifts working around the plant. But as the number of these machines continues to rise, Toyota needed to eliminate potential disruption to the workflow by installing additional filling stations. Its solution is the new, compact SimpleFuel station pictured above. This small, water electrolysis-based machine for hydrogen generation and filling can produce, store and supply hydrogen by making use of electricity generated from on-site solar panels. 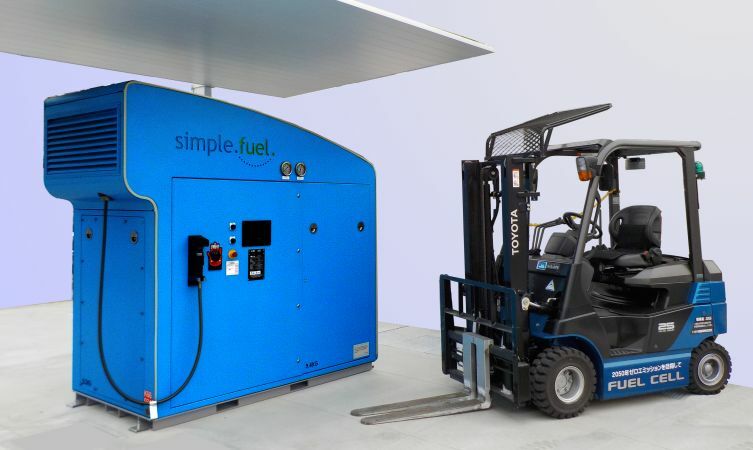 Each station can produce approximately 8.8kg of hydrogen per day, which is enough to fuel seven or eight fuel cell forklifts, while its compact size means it can be installed in small spaces. What is Toyota’s ultimate goal with hydrogen? Since announcing the Toyota Environmental Challenge 2050, Toyota has been developing and implementing technologies that harness hydrogen energy. 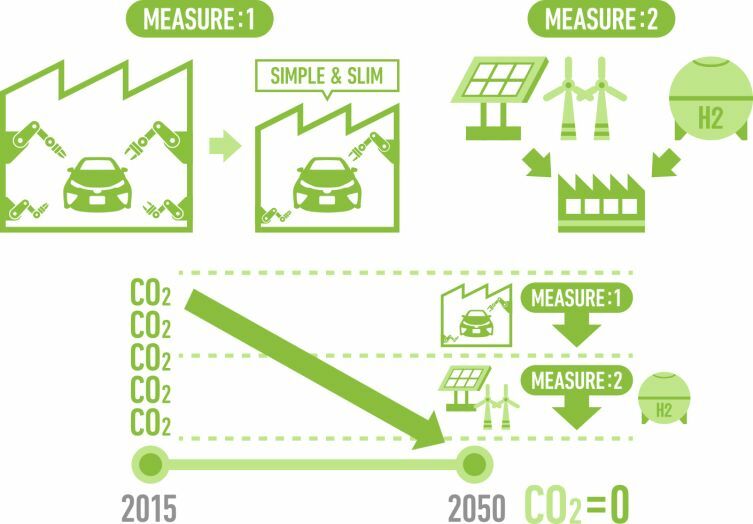 The aim is to reduce all plant emissions to zero, while working with environmental agencies to promote the adoption of fuel cell vehicles within industry and realise a hydrogen-based society.